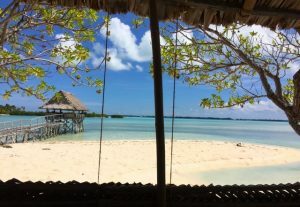 From Western Kiribati, a chain of sixteen atolls and coral islands in the Pacific Ocean about halfway between Papua New Guinea (101) and Hawaii (17), 224DA036 Peter is welcomed to the Dx Adventure Radio Club (DA-RC) in October 2017. 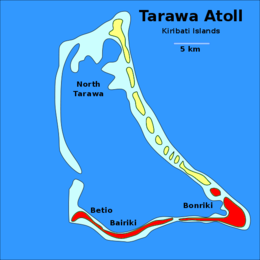 Peter-George’s home QTH is the low-lying Betio Islet at the northern end of the Gilbert Islands group, one of the diminutive sand cays that makes up the larger Tarawa Atoll (OC-017). In fact, it’s just a crazy 1.54km2 in size!!! 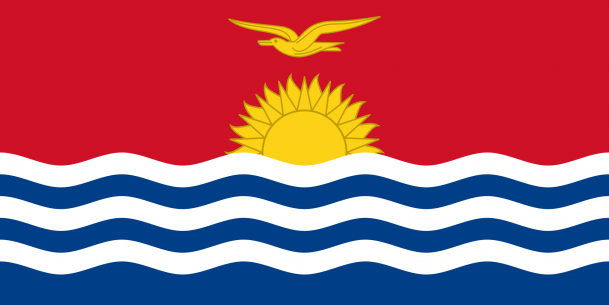 Wikipedia confirms that Betio is also the largest township of Kiribati’s capital, South Tarawa, and the country’s main shipping port. 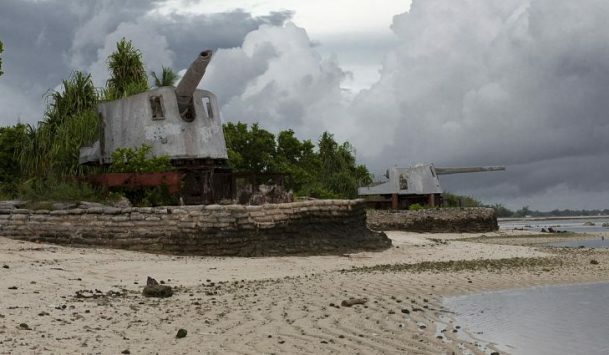 History reveals that this isolated place was home to the famous ‘Battle of Tarawa’ that occurred in November 20-23, 1943 during World War II. 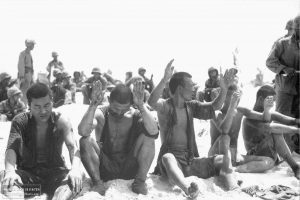 Apparently, the U.S. began its Central Pacific Campaign against Japan forces here by seizing the heavily fortified, Japanese-held island of Betio in the Tarawa Atoll in the Gilbert Islands. 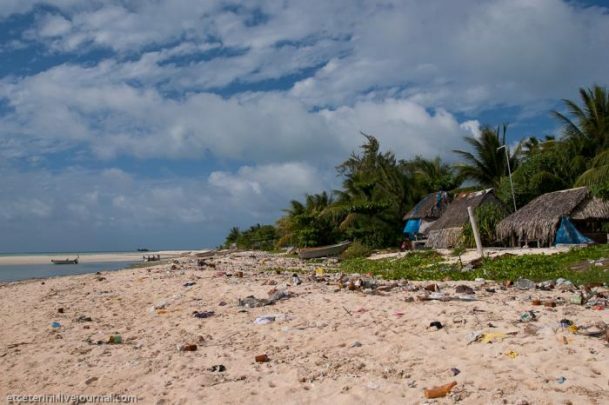 According to Peter who has a strong knowledge of his country’s history, unexploded artillery shells, mortar rounds, anti-aircraft shells and live machine gun bullets left over from the Second World War are littered throughout the island and surrounding reef. 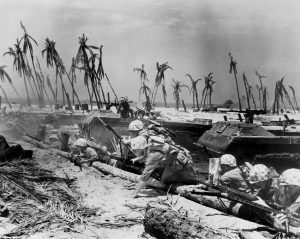 The remains of several hundred U.S. and Japanese soldiers in marked and unmarked graves, too, lie amongst coconut palms and old war relics such as old cannons and wrecks. 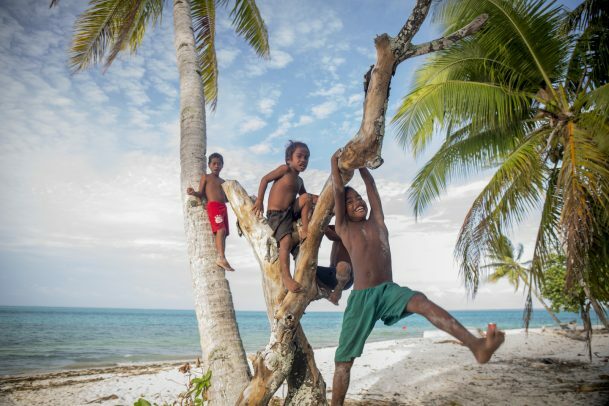 224DA036 Peter is a regular participant in the daily Kiribati CB Nets and a keen international DX Hunter on the world Freeband stage. 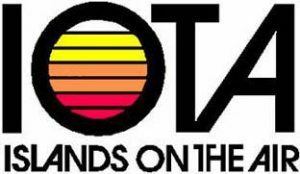 For example, he was one of the few DXer’s to log both DA-RC dx adventures activities in the Samoan Archipelago (223 & 70) with his new Delta-Alfa callsign. Contacts with other Pacific nations, including Australia (43), French Polynesia (201) and New Zealand (41), as well as the Americas are almost daily occurrences, despite being at the bottom end of Cycle 24. 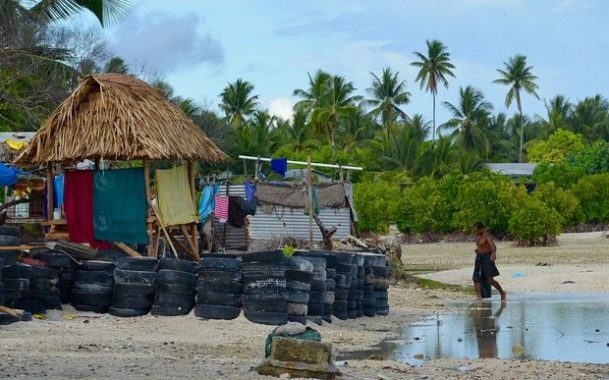 An aspiring ham radio operator thanks to some associations with visiting ham radio teams, our latest addition to the DA-RC Kiribati family is setup well for island dx work. 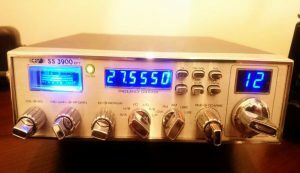 A Superstar SS-3900EFT 12 band transceiver and 5/8 wave vertical antenna recently purchased from Honolulu Hawaii, roughly 12m off the ground provide a terrific platform for successful operations. 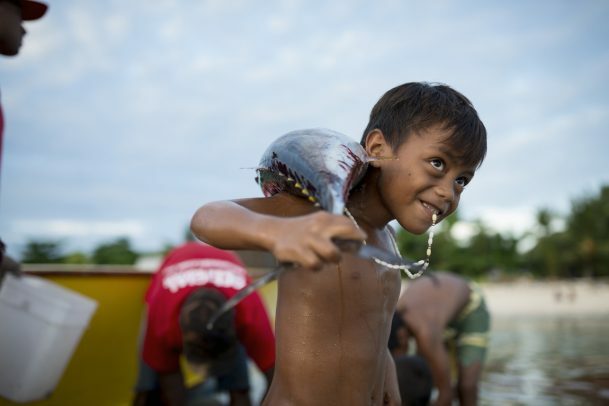 When he’s not chasing long distance DX contacts or immersed in rag-chew with other 224, 265 and 266 island stations, 224DA036 Peter enjoys fishing the coral reef ‘bombies’ and crystalline waters of his Pacific homeland. 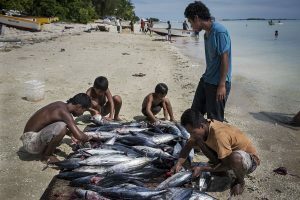 According to Peter, target species include bonefish, sailfish, blue marlin, giant trevally, wahoo, black marlin, yellow fin & dogtooth tuna, and barracuda – all caught on hand lines from his boat on the atoll’s interior lagoon or just a few hundred meters off shore. These are then sold at market or distributed amongst family members in the village in exchange for pork, chicken or fresh fruit (e.g. bananas) and vegetables (e.g. Taro). 224DA036 Peter is QRV on the international call frequency 27.555 MHz USB, as well as on his country’s local chat frequency at the opposite end of the band…27.0550 MHz USB. His English is very good and he’s always super keen for a QSO. 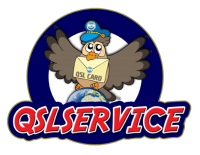 To confirm any contact made with Peter or any other 224 division station, please send your card and contribution to the QSL Manager who is 43DA001 Darren (See below). Welcome to the club Peter. Will have an ear open for your station soon.